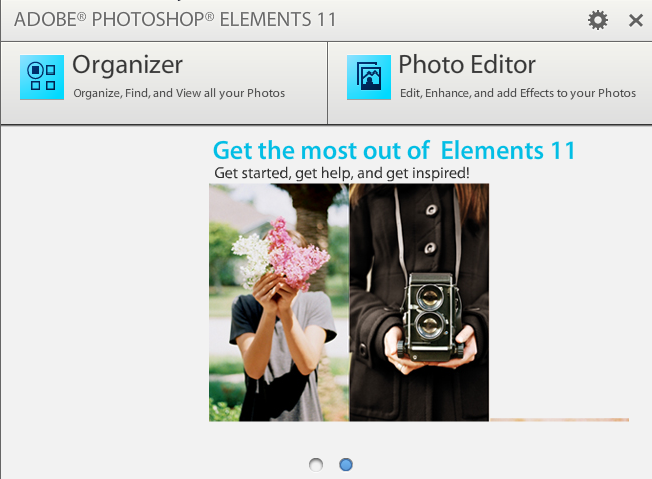 In an earlier post I wrote about deciding whether or not upgrading to Photoshop Elements 11 was for you. In this article, I will describe what I do when I upgrade from one version to another. In Part 2 of this mini-series, I will address the differences you will find immediately after upgrading. In this article, I am assuming the simplest scenario. You are not changing computers and are going to install PSE 11. First, before installing PSE 11, you want to clean up your Catalog in whatever version of Elements you are currently using. The reason for this is that when you install PSE 11, it is going to convert your existing Catalog to PSE 11 format. If you current Catalog has structural problems,they will just be carried into PSE 11 and could cause problems with the conversion. Reconnect all missing files, or as many as practical, or remove their thumbnails from the Catalog. To do this click on File > Reconnect Missing Files. Next run the Repair Catalog command. If it comes back saying no errors were found, select Repair Anyway option. Run the Optimize Catalog command. The PSE 10 screen shot below shows how to access these commands. Earlier versions are similar. Now you are ready to install Photoshop Elements 11. During the installation it will convert your Catalog to the new internal structure. Multiple versions of Elements can coexist on your computer. Therefore, I would not uninstall your older version until after you are sure that PSE 11 is handling your tags and other aspects of your Catalog properly. But remember, once you start using PSE 11, your old Catalog becomes outdated and does not reflect the changes you have made to your picture collection. 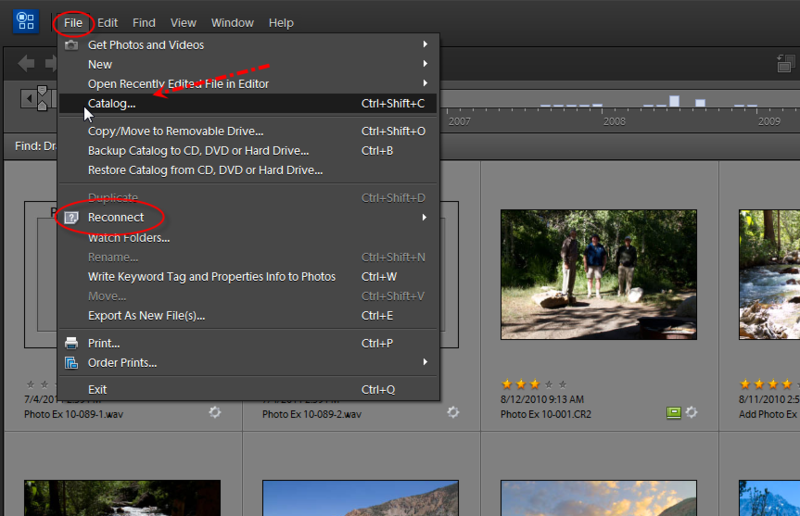 In Part 2, I will cover changes you will see in PSE 11, regarding your tags, albums, etc. I’m a Photoshop Elements User: Why do I want to learn Photoshop CS5? So you have been using Photoshop Elements for some time and are reasonably comfortable with it, at least for the tools and techniques you routinely use. Why would you want to learn how to use Photoshop CS5? After all, it does have a reputation of having a steep learning curve. To answer that question, here are some points to consider. Many of the commands and internal routines of Elements are based on or identical to those used in Photoshop. That means that once you get into command, say Levels, the two programs work exactly or nearly the same. A typical scenario is that Photoshop often includes additional sliders within a command to fine tune the results. The basic user interface between classic versions of Elements (pre PSE 11) is quite similar to Photoshop. The core Tools in the Tool box on the left side of the screen are essentially the same. But again, Photoshop has additional tools and some have options that Elements does not. 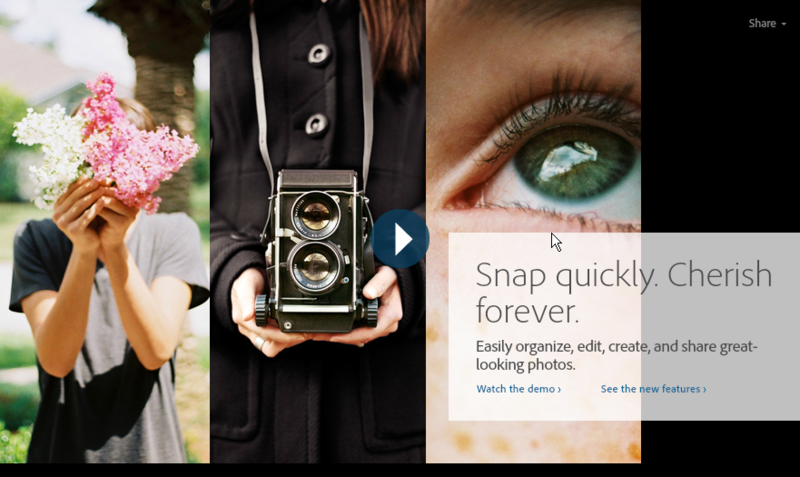 But if you know how to use a tool in Elements, you will have little trouble adapting to its use in Photoshop. These are easy to access and provide essentially one click fixes to the image in a similar way that Elements works. But again, there are more of them. These were added into Photoshop by Adobe, not so much as training wheels, but rather to boost the productivity of a busy photographers. So much for the steep learning curve. To use these presets requires little knowledge. Since Elements supports using capabilities such as Layers, Selections, and Masks, specific techniques on learns using Photoshop, can be directly applied in Elements, or using a simple workaround for a missing command. If you use the Organizer in Elements, you can select a photo and send it to Photoshop directly instead of the Editor in Elements. Upon returning, you will have the edited file as part of a Version Set. I will be teaching my Photoshop CS5 and Camera RAW class at the Torrance Adult School in January on Thursday evenings. I will not be teaching the Basic Photo Editing class or the Advanced Photo Editing class using Photoshop Elements this winter. So, if you have taken the Basic Photo Editing with Elements class and would like to learn some more advanced techniques, the Photoshop CS5 class may be what you are looking for. Also, as a student you will be able to buy Photoshop CS6 for about $200 instead of the normal $700+. Please leave any comments or questions you may have in the Comments section below. I have posted the descriptions and schedule for the classes I will be teaching during the winter term for Torrance and the South Bay Adult School. Click on the link below, and then look in the column on the left for the schools. I am really excited about the iPad class I will be teaching at Torrance and the Photoshop Elements 11 class I will be teaching at the South Bay Adult School. I will also be teaching additional classes for PV NET this winter. When I know more details, I’ll post them here. Both schools should be mailing their catalogs in a couple of weeks or so. Check with the individual school for when on-line registration begins. Classes start on January 7, 2013 at both schools. For those of you who read my last post and are considering upgrading to PSE 11 or buying it for the first time, you may want to check out the sale price at Costco. Between Nov 8th and Nov 25th, you can buy PSE 11 at $30 off their regular price of $79.95, or $49.95. No coupons are required. You are not going find it at a lower price anywhere. I just received confirmation that the South Bay Adult School has purchased Adobe’s just released Photoshop Elements 11 program. I am very excited about this. SBAS is the only adult education facility in the South Bay able to offer classes on how to use this new version. I will be teaching an eight-week class at SBAS this winter called “Organizing Your Digital Photos Using Photoshop Elements 11”. It will be offered on Tuesdays from 5-7 pm, beginning January 15, 2013. Watch my blog, website, and your email inbox (if you are on my email distribution list)for more details in the coming days.